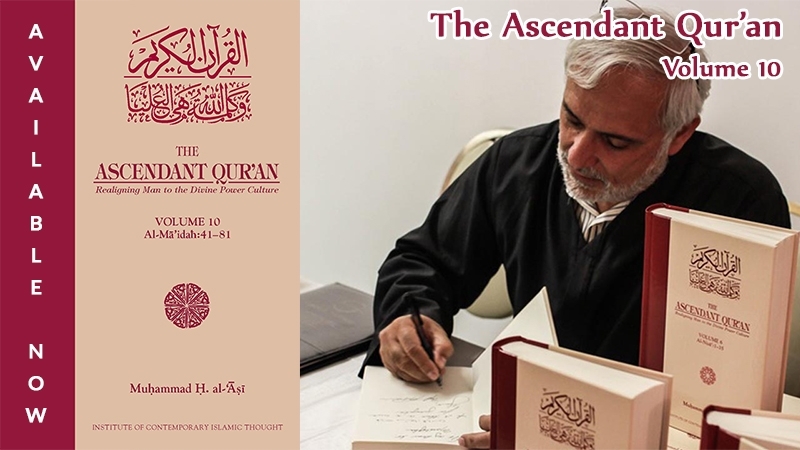 The first volume of ‘The Ascendant Qur’an’, Imam Muhammad al-Asi’s tafseer, was launched by the Institute of Contemporary Islamic Thought in Toronto on May 24. 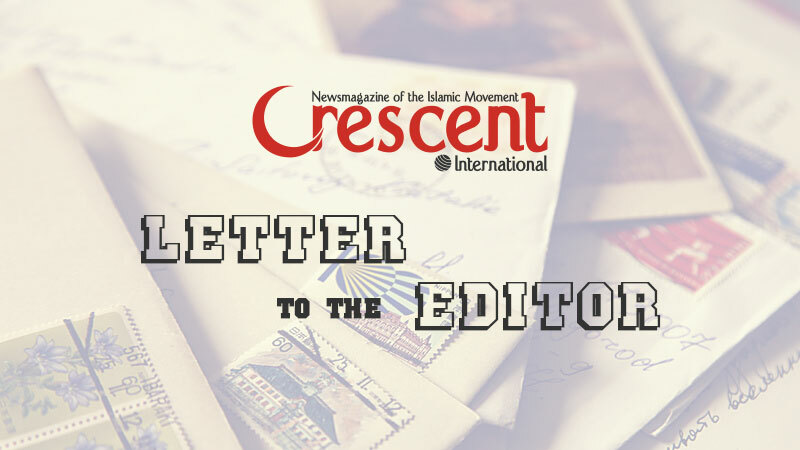 Crescent International took the opportunity to speak with Imam al-Asi about his tafseer, and his understanding of the challenges facing the global Islamic movement. CI: Assalaam ‘alaikum, Imam Muhammad al-Asi. Let us begin with your tafseer, the first volume of which is being launched here in Toronto. It is being described as the first tafseer written in English, as opposed to those written in other languages and translated into English. How significant a difference do you think that is compared to other tafseers which are widely used in the Muslim world today? MA: I think that a tafseer that is written in English makes a very specific qualitative contribution to understanding the meaning of the Qur’an. The problem with other tafseers that have been translated from the original non-English language is that a process of adaptation takes place when meanings from one language are shifted into another language, whereas a tafseer in the English language directly addresses the specifics of the English-thinking mind. Therefore there hasn’t been any process of trying to adapt a correct meaning of a word from one language to another. This tafseer is also written taking into consideration both English-speaking Muslims, and those who are not Muslim. CI: The language issue apart, in what other ways have you tried to make this tafseer more relevant for contemporary readers compared to tafseers that were originally written many many years ago, in what was perhaps a very different world situation? MA: Yes, another way in which this tafseer differs from the other tafseers is that it is written in our time frame or in our generation, and every generation has its particular points of interest and concern, just as it has its idiom. So it engages the issues in our generation, in our time, which are quite different from from those concerning a mufassir who wrote his tafseer 50 years ago or, more to the point, 100 years ago. This tafseer adds to the library of tafseers in that we have now the meanings of the Qur’an being explained in the political, ideological, religious and philosophical context of our current generation. The tafseers that were written by previous generations, even those of the past century, even in their best presentation were largely scholarly works that did not attempt to address current issues. It is a key element of this tafseer that it deliberately and intentionally tries to engage the meanings of the Qur’an with the contemporary issues of our time. It takes the meaning of an ayah or a section, and tries to apply them to the relevant parts of the current human condition, so that the reader is placed both within the context of the Qur’an and the context of the contemporary affairs at the same time. CI: Which particular issues facing the Muslim world today and which elements of the current human condition do you feel have you have tried to address in your tafseer? MA: Well, of all the major issues that run throughout the ayaat and surahs of the Qur’an, the major one is that of power. We live in a world in which Muslims have been deprived of power. Instead, power is used on them by other forces, and wreaks havoc in their countries – their nation states – and in their societies. Throughout this tafseer, a major theme is that of trying to concentrate the Muslim reader and the Muslim mind on this issue of power, which is so central to the Qur’an. We live in a time dominated by the abuse of power, by dictators and by alliances of nation states, and even within the family; wherever the issue of power is located there is a highlighting of that issue through the understanding of Allah’s revealed word. The other issue is the issue of authority. In the last couple of centuries, Muslims have become subjects of all sorts of authorities that spring from ideologies that are contrary to Allah’s orientation in life. This is a result of a misconception of the relationship between man and Allah swt. Leftist ideologies, rightist ideologies, fascist ideologies, dictatorial ideologies… all of these have imposed themselves on Islamic social life, and Muslims in the middle of the contention of power and authority have had no authority of their own. In this Qur’an, there is the Islamic reference authority. It is Allah and his Prophet, and so another theme throughout this tafseer is to emphasise the authority of Allah and the authority of the Prophet (saw). So this is what I think stands this tafseer apart from the other more or less lacking tafseers that lack in courage to highlight these twinned issues – authority and power. CI: Discussions of the state of Muslims in the world today often focus on the battle for supremacy between Islamic movements fighting for liberation of the Muslim world, and the western civilisation led by the US. Is this element of civilisation competition or conflict a part of your analysis in this tafseer? MA: Well, yes. Obviously, one of the major objects of the Qur’an is to guide us to a full-fledged Islamic way of life or Islamic system. This is what the Islamic movement – or the Islamic state – are trying to do. And there are many parallels between the first successful attempt at constructing an Islamic reality and Islamic social justice in the Arabian peninsula over 14 centuries ago, and the attempt now by the Islamic movement and the Islamic state in the world to re-establish an Islamic reality in the full sense of the word, centred around the issue of justice. So one of the objects of this tafseer is to establish the very strong co-relationship between the factors and the variables that were at work at the time of Allah’s prophet and the similar factors and variables that are at work today. This is something Muslims have not been able to do for a long time; we have Muslims in the Islamic movement and state today who can read the Holy Book, look at Islamic history 14 centuries ago, and understand it, but cannot make the transition to seeing how similar the human effort now is to what it was then. And conversely, we have Muslims who can identify today’s challenges and the obstacles, but then cannot find their echo in the successful effort of the Prophet and the first Islamic generation 14 centuries ago. So here we are bringing together the two human efforts of 14 centuries ago and today, to make it possible for Muslims to take on their responsibilities in this world enlightened with the facts and understanding the Qur’an and the Sunnah. CI: Clearly, therefore the significance of this tafseer reaches beyond the English-speaking world. When we see the tafseer listed as the first tafseer written directly in the English language, it may be tempting for some people to think that it is targeted particularly for those Muslims whose first language is English. The key Islamic movements engaged in this struggle are in countries of the Muslim world, Arab and non-Arab. Would you think it’s worthwhile and important for this tafseer also to be made available in other languages? MA: That’s a good question. Of course, there are Muslims around the world who do not understand and cannot speak English, therefore this tafseer is not going to be readily available to them. But having said that, unfortunately English is almost the most spoken language among the Muslims in the world. But it would certainly be important for to make this tafseer available in the other languages that are widely used by Muslims, particularly Arabic. The fact we have so many Muslims using English today is a result of 200 and 300 years of colonialism and imperialism, but as Muslims move out of this stage we can foresee that the language of the Qur’an – the Arabic language – is going to regain its status among the Muslims. So it would behove us to begin to think about casting the meanings of this tafseer into the Arabic language and also into other widely-used languages, such as Persian and Urdu or Turkish. We hope the time is quickly approaching that we will see the transition from English being the common lingua franca to Arabic regaining its central position. That would obviously make it far easier for the meanings of the Qur’an to be available to all Muslims. CI: Moving on from what we were discussing a few minutes ago, do you feel that the key element of the struggle of the Islamic movement concerns fighting our external enemies, such as the power of American imperialism and so on, or the internal challenges we face in re-ordering our own societies, clarifying our own understanding of Islam and the Qur’an and the sunnah and so on? MA: Well, that question has long been wobbling back and forth within the thinking cadres of the Islamic movement, and there have been different answers to it. But seeing that we are conscious of the Prophet’s seerah, we should look at your question from a seerah perspective. The Prophet (saw) spent his lifetime, a struggle of 23 years, dealing with putting the internal house of Islam into order. Now during that process he faced various threats to the Islamic state. These threats came from elements that were within the Islamic state but had strong connections with outside powers. And this is what we have in our time. As we begin to set our own internal house in order, in Islamic order, we are going to be first of all going to be challenged by internal elements within our societies that have strong connections outside powers, and as we get closer to having defeated these internal threats, we are going to be faced with the out-and-out challenges of the external element. But I think at this time our concentration, as was the case with Allah’s Prophet, must be on anchoring an Islamic order in the widest deepest meanings of the word, in our lives and societies, obviously based on the core element of justice. This we have to do by necessity, because this is what Allah’s prophet taught us. Later, as a result, we are going to have forces representing nation-states or international organizations that are going to do everything they can against this effort, and we will have to prove ourselves as being up to their challenge and defeat it in every sense of the word. But we cannot consolidate our efforts when we have Muslim minds running around trying to identify and fight external enemies all over the world, and thereby spreading themselves thin, without even having Makkah liberated. And Makkah is the heart and soul of this Islamic order and this Islamic structure and this Islamic power and authority that we seek to consolidate. CI: We also have within the Islamic movement what you might regard as competing approaches, competing groups who promote their own methodologies and approaches as being the correct one. For example, we have the model of the Islamic Revolution in Iran, which has established an Islamic state, the one and only Islamic state in the modern world, as we are constantly reminded; and we also have, among many other movements, groups such as al-Qa’ida, and the salafi-jihadi wing of the Islamic movement, which tends to get a lot of the headlines, and which is regarded as dominating Islamic movements in the Sunni-dominated countries of the Muslim world. How do you think that Muslims should view and reconcile these different approaches? MA: The Islamic state in Iran represents, I think, a very relevant example of how we Muslims in the world can go about bringing into existence a change that we all yearn for. The Islamic Revolution in Iran is a revolution that took place within a population base with an Islamic leadership that went about methodically rebuilding an Islamic order from scratch and with all the challenges that it had to face. It was attacked from outside by the imperialist powers, from Iraq, in 1980, and that war has continued in many other forms and fashions up until this very day. And it withstood all of that while still trying to build its internal order. It ran into the same obstacles and the same challenges that the Prophet of Allah and the first generation of Muslims faced. We should see the parallels very obviously. This is the model for us all, for all Muslims. There need to be these massive mobilisations of the Muslim public conscience in different Muslim countries all over the world, to move towards the objectives of establishing justice on Earth. When we look at what is referred to as al-Qa’ida or salafi jihadism or whatever, we find that ironically the things they are doing seem to fit very comfortably into the scheme of trying to use Islam to abort Islam. The emergence of al-Qa’ida or Taliban or can be compared to the way people try to control a wild fire. When a wild fire is out of control, one of the strategies used to fight it is to light other, smaller fires to burn the combustible materials that could feed the raging wild fire, in order to stop it from spreading. And this is almost exactly what we are seeing in the Muslim world. The wild-fire, from the perspective of the imperialism and Zionism, is what they call Islamic fundamentalism or Islamic radicalism etc., and they recognise that the powerhouse of that wild-fire is the Islamic State in Iran. So in order to limit the influence of the Islamic State in Iran, they ignite smaller fires all around it. The salafi and false jihadi trend was encouraged among Sunnis to isolate and contain the Islamic Revolution. When I say false jihadi efforts, I don’t mean that the many people who are involved in it are false Muslims. There are many sincere Muslims drawn into it, not able to see the larger picture and what is being done to consume them in an effort to extinguish the major thrust of Islamic change and Islamic Revolution in the world. And of course, in times and places, these smaller fires can also run out of control and cause damage of their own. Unfortunately some Muslims seem not to have enough information and enough objectivity to see and analyse the facts as they are, without the sensationalisation in the media and the manipulation of diplomats and politicians, and so they cannot distinguish between a popular Islamic effort that has taken root in a liberated Muslim country, and achieved an Islamic state, from the reactionary Islamic efforts that are genuinely trying to confront a common enemy but do not realise that they are being used by that enemy in a larger scheme of things. CI: Of course, in places such as Palestine, Iraq and Afghanistan, Muslims are directly engaged in wars with external enemies who are attacking us militarily. Would you agree that the focus on those struggles is to some extent distracting Muslims from the need to address our internal problems and issues within the Islamic movement? Issues which are perhaps more immediately and directly relevant to the restructuring of our societies? MA: You mention Palestine and Iraq. I would say that these are two arenas in which the distinction between external and internal enemies have become blurred, particularly in Iraq, more so I would think than is the case in Palestine. This becomes really challenging because the external enemy has been internalised and the internal enemy has been externalised. And this presents a real challenge to the Muslims and the challenge becomes even more cumbersome when correct information is not available and understanding is lacking. The sincerity and commitment of Muslims is at a high level; there is no lack of sincerity anywhere. The problem is that sincerity gets channelled in ways and means that often do not produce the desired results, and we can see again and again how many Muslims spend their whole lives trying to defeat the occupation. Occupations are not a new phenomenon. The occupation of Palestine is not new, and the occupation of Iraq is not new. We had in the distant past the crusaders who occupied Palestine. In the last 200 years, we have have huge parts of the Muslim world occupied by Britain, France and other imperial powers, and we succeeded, to a certain degree at least, in getting rid of those occupations. But because of the impact of these occupations on some Muslims, the imperialists were simply replaced by westernised elites who owed their allegiances to the former colonialists or imperialists. The result is that the effects of colonialism or imperialism never left Muslim countries. This is what stands out when it comes to the Islamic change that occurred in Iran. There, the transformation was thorough because the Islamic change from within, from the deep, original and the genuine commitment of Islamic scholars who were never tainted by imperialism. Thus there is no dependency relationship there. That’s why it stands out in being a model for other Muslims. We need the type of leadership that is clean, that is 100 percent sure of itself, that relies upon Allah and His Prophet instead of on political connections and external support-structures behind the scenes. Once that is achieved, I’m sure that the sincerity and commitment demonstrated by the Muslim masses in Iraq and in Palestine, and in other places, can carry the day, and they can rid themselves of the impact of imperialism and Zionism in all areas of their lives, military, political and intellectual. CI: Do you see any sign of such a leadership existing or emerging in either of those countries – in Iraq or in Palestine? MA: Well, Iraq is a lot more harder to answer. I think, due to the struggle they have been going through in the past five years, there is an emerging type of leadership that is getting tired of subjecting Islam to the politics of the ends justify the means. I think that as we speak, there are disgruntled Muslims who don’t feel comfortable with the ijtihad of some Islamic leaders in Iraq that they should bide their time as they think they are using the Americans to get rid of previous tyranny and to shape up a coming future. There are a growing number of Muslims who can no longer accept this. So I think in Iraq there is the potential for a true and genuine Islamic leadership to emerge, that may be in the stage of formation right now. As far asPalestine is concerned I think we have a convergence of three Islamic experiences. First and foremost is the experience of Hizbullah in Lebanon, and then Islamic Jihad in Palestine and in the surrounding areas, and also Hamas. There are elements within Hamas that are maturing as the struggle continues and other elements that have already matured. I think there is a gelling effect there with the convergence of these three, that are more pronounced and less willing to play diplomatic games with imperialist and Zionist forces. The struggle is shaping up with a clear Islamic orientation there. CI: It seems to me that in Palestine, the clear identification of an external enemy in the shape of the Israelis, the Zionists, has made that the nature of that struggle fairly clear-cut in the minds of most Muslims. In Iraq, the situation is perceived as being much more messy. I think it’s true to say that, for many Muslims, the fact that militias associated various Islamic groups have been associated with sectarian conflict in Iraq raises questions about their credentials and leadership. Would you agree with that? MA: Well, yes, I would agree that that is an element there. I would not agree that that is the over-riding and primary element. This is one of these elements that has to be washed away as the struggle continues. That will happen as people realise that there has been a major policy to stir up sectarian division and sectarian hatred among the Sunnis and Shi’as in Iraq. People on both sides are guilty of falling into sectarian polarisation, but with all that was done to polarise Iraqi society, and considering the innocent victims that have lost their lives as a result, we have to say that Iraq has held out pretty well. We don’t have widespread, general fighting between Iraqis just because they are Sunnis or Shi’as. I’m not trying to dismiss the tens of thousands of both Sunnis and Shi’as who have been victims of sectarianism in Iraq, but if we can step out of the immediate moment and look ahead, I think the sectarian elements within both Sunnis and Shi’is are going to die out. They will all learn that whatever differences they have are trivial compared to the problems they face. They will never prosper and become independent under occupation, and the occupiers are talking about staying their for 100 years or more. They have their eyes on the oil fields and are building permanent military bases. So the Iraqis face becoming paupers in their own lands. Sunnis and Shi’as will both find that nothing in sunnism and shi’ism justifies their becoming beggars in their own country, while the imperialist presence there robs them of their natural resources and keeps them under control with 15 to 25 large military bases and the largest US embassy in the world located in Baghdad. CI: Iraq of course is not unique in being occupied by foreign forces and being dominated by foreign imperialists. The same can be said for virtually every other Muslim country in the world today. At what stage should we stop perceiving and analysing Iraq in terms of the American invasion and military occupation, and start thinking of it as a situation similar to those of other Muslim countries where you have a pro-Western government in place and similar problems of popular resistance to a pro-Western local government? MA: Well, yes. There’s two layers in the Iraqi set-up. The first layer is the layer of occupation. The second layer is the layer of the administration of the occupation who happen to be Iraqis themselves. Some of them even have Islamic credentials in their backgrounds. But what defines the Iraqi condition is the occupation. With the occupation, people can see the tools and the puppets of the occupation. This doesn’t come with other indirectly occupied countries, such as the case in Egypt. Egypt, right now, is not militarily occupied by the US, but it is ruled by a government that is subservient to America. So parallels between Egypt and Iraq are not precise. But the fact you have 150-200,000 foreign military personnel controlling the Iraqi population, this emphasises the nature of the status quo. And therefore the Iraqi people should be able through this military occupation to see the nature of the government that is imposed on them along with the occupation. CI: Moving on from the subject of Iraq to think about the Muslim world more broadly… you spoke of the Islamic revolution in Iran and what it achieved. Why do you think that that model has not been successfully emulated anywhere else in the Muslim world in almost 30 years since the Islamic Revolution? MA: Well, I think this has much to do with the concerted efforts made to isolate this Islamic breakthrough in Iran. 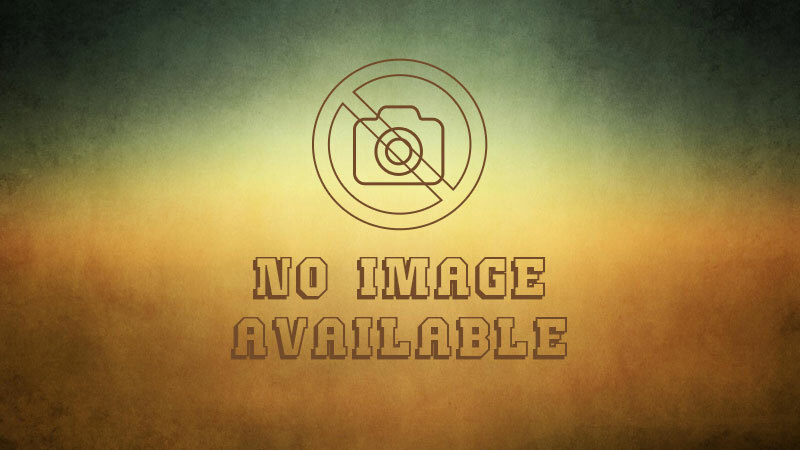 In the first instance there was the war that was imposed on them. They could not present a model for the other Muslims. They got bogged down in a war of attrition, and alongside with that they were subjected to a campaign of sectarian propaganda trying to portray the Islamic Revolution as a shi’a development that had nothing to do with the rest of the Muslims. Now the effects of both the military war and the propaganda war are beginning to wear out, and we can look forward to a time in the near future when there is going to be a much better understanding of the Islamic Revolution in Iran among the general Muslim public. One of the major factors in defeating this propaganda war is the work done by and in Iran to try to bring the Muslims closer together. There is in Iran, right now, a culture of taqrib (convergence) among the Muslims, aiming to bring together Muslims from all schools of thought and from all historical perspectives, based on what we have in common rather than what separates us. This work has been going on for over 20 years, and as a result there is better understanding among all the Muslims who have been involved, whether they are scholars, whether they are intellectuals, whether they are just plain Muslim activists and workers in the field. The Majma al-Taqrib provides a forum for them to come together in the Islamic state once a year to have firsthand information about what this Islamic Revolution is all about. And as Muslims begin to understand the genuine Islamic direction of this Revolution, then all of the propagandistic efforts against it will come falling down. We pray that the day is coming when the Muslims can look at themselves free of the stereotypes, the propaganda and the rumours that have been circulating among the Muslims against this Islamic leadership in Iran. We are confident that the day is quickly approaching when these barriers are going to come down and the Muslims can look at each other and evaluate each other with their hearts and minds instead of through the distorting lenses imposed by foreign media, which have been poisoning relations among Sunni and Shi’a Muslims, among Arab and non-Arab Muslims, and so on. CI: Imam al-Asi, I think we will leave it there. Thank you so much for your time.